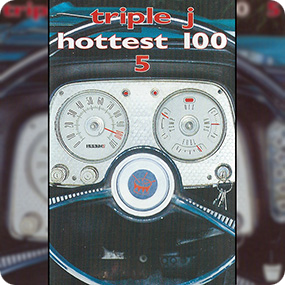 The 1997 Hottest 100 was the fifth annual Hottest 100 countdown since the change of the format which allowed only songs from the previous year to be voted for. The countdown took place in January of 1998 and featured a mixture of 88 different artists, which is currently the highest amount of artists to appear in a countdown. This high number of artists is due to no artist appearing more than twice in the countdown. Incidentally, this is also the only countdown to have no songs with a featured artist performing alongside the main artist. The 1997 countdown was the second time that an Australian act had topped the charts, with Spiderbait doing it the year previously. The number one song was announced by Gough Whitlam, the namesake of winning band The Whitlams. Fellow Triple J listeners, I'm Gough Whitlam, and as an avid supporter of Australian music I'm very proud to announce the number 1 song for 1997's Hottest 100. With their smash hit, 'No Aphrodisiac', please put your hands together for my favourite band, my eponyms, The Whitlams. The countdown was also subject to a small amount of controversy. On August 21, 1997, Triple J started to play the satirical track 'Back Door Man' by Pauline Pantsdown. The song was a collection of audio clips of politician Pauline Hanson, put to music with intent to ridicule her in the lead up to the election. 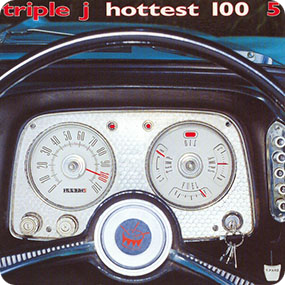 However, after only 11 days of airplay, the track was banned by a Queensland court, and Triple J were legally forbidden from playing the song. Nevertheless, the song reached the #5 position and is, to date, the only song voted into, but omitted from the airplay of a countdown. At #22, The Verve charted with their song 'The Drugs Don't Work'. In the 2001 countdown, Ben Harper & The Innocent Criminals charted at the same position with their cover of the track. Additionally, in 1998, Ben Lee reached #2 with his song 'Cigarettes Will Kill You'. Reportedly, the title of his song was based upon the blunt, factual nature of The Verve's song. It is worth noting that Pendulum, who feature at #32 with their track 'Coma', are a different band to the drum and bass band of the same name who feature in later years. At #46, the Bloodhound Gang featured with their song 'Fire Water Burn', which features numerousreferences to various pop culture figures such as Kurt Cobain and Jimi Hendrix, who are both deceased musicians who have featured in either yearly or All Time countdowns previously. The song also includes the line "I'm not black like Barry White, no I am white like Frank Black is. So if man is five and the devil is six then that must make me seven; this honky's gone to heaven." This line references Frank Black, best known as the frontman for the Pixies who performed under the name Black Francis. The following sentence parodies the line "If man is five, then the Devil is six and God is seven", from the Pixes' song 'Monkey Gone To Heaven" which featured in the 1990 and 1991 All Time countdowns, reaching positions #34 and #91 respectively. At #78, The Mark Of Cain featured with their cover of X's 'Degenerate Boy', which was featured on the soundtrack for the film 'Idiot Box'. The film also starred, in a supporting role, Robyn Loau, who featured at #71 with 'Sick With Love'. Grinspoon's appearance in the countdown marks the first time that songs from album have been featured in non-consecutive countdowns. In 1995, Grinspoon released their track 'Sickfest' which was later re-released on their debut album 'Guide To Better Living' in 1998. The album also managed to feature in both the 1997 and 1998 countdowns. To date, it is the only album that features in 3 different countdowns. Non-consecutive appearances also occurred in the 2011 countdown with Architecture In Helsinki, and the 2015 countdown, when The Wombats charted. The countdown also features the moderately rare distinction of having no artists reach consecutive entries. This has also happened in 1993, 1996, 2000, 2005, 2007, 2008 and 2010. The 1997 countdown was unique in that it was the only year in which no artist achieved more than 2 entries. This incidentally led to the 1997 countdown having the most number of artists, 88, and therefore, the most diversity of any of the countdowns to date. The 1997 Hottest 100 featured artists from 8 countries, including 40 from the USA, 34 from Australia and 21 from England.